My clients have needs that sometimes go beyond my practice. Having access to the firm's resources gives my clients and me peace of mind knowing their needs are satisfied. 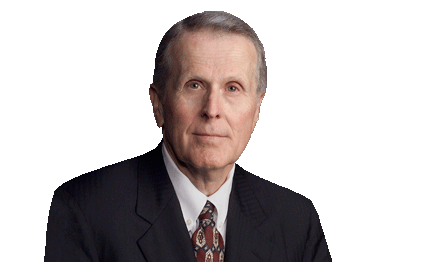 Joe Coleman has more than 60 years of experience in real estate and oil and gas law. Throughout his legal career, he has participated in all areas of general law practice, including transactional matters and litigation. Joe has served on the Board of Directors for Allied Bank and Fairfield State Bank. In addition, he serves as a trustee of the Ralph and Ruth McCullough Foundation and the William A. Smith and Madeline Welder Smith Foundation, and he formerly served as president and board member for the Homes of St. Mark. A dedicated alumnus of Baylor University, Joe served on the Baylor Board of Regents from 1998 - 2007, where he served as chair of several committees, including the finance and facilities committee. He also was a member of the Baylor Foundation Board of Directors and Baylor's Sesquicentennial Council of 150 and is a current member of the Baylor Foundation, the Baylor Bear Foundation and active in development efforts on behalf of the University and the Law School. In 2008, Joe received the Baylor Lawyer of the Year award, which is given annually to an outstanding alumnus who has brought honor and distinction to Baylor Law School and the legal profession. Past recipients include Watergate Special Prosecutor Leon Jaworski, former Texas Lt. Gov. Bob Bullock, former F.B.I. director William Sessions, former U.S. Rep. Jack Hightower and Gov. Price Daniel, Sr., among others. The award has been presented by Baylor Law School since 1963. Participated in all areas of a successful general law practice, including transactional matters and litigation. Served on the Board of Directors of various bank and civic organizations in Texas. President of the Ralph H. and Ruth J. McCullough Foundation. Trustee of the William A. and Madeline Welder Smith Charitable Trust. He is a life member of the Baylor Alumni Association and the Baylor Law Alumni Association. In his spare time, Joe is also a noted author on quail habitat and management, and he has competed and judged in bird dog field trials in the U.S., Canada and Mexico. His English setters have won many championships, including the National Amateur Shooting Dog Championship, and he is widely known for his breeding of setters. In recognition of these many achievements, Coleman was inducted into the Texas Field Trial Hall of Fame.